Seriously, it never ceases to amaze me the things that come out of my 4 year old girls' mouths. Yesterday, I asked my daughter, Arwen, to put daddy's Pooka shell necklace away. She jumps off the bed and puts it back in daddy's drawer and says to me, "Mommy, daddy will be really impressed that I cleaned up!" Of course I'm thinking to myself, actually, daddy will be really impressed that you used the word impressed! Another day, the girls misplaced something and we were looking and looking for this toy and we couldn't find it. I said, "Sorry guys. I just don't know where it is," to which Lorien replied "It's a conundrum." hahaha...I love it. I taught my girls the word famished and it's so cute to hear them say, "Mommy, I want something to eat. I'm famished." Just goes to show, if you use these words with your kids and teach it to them, they will learn and use them. 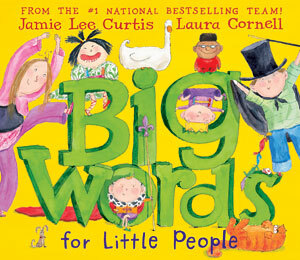 Jamie Lee Curtis and Laura Cornell wrote/illustrated a really cute book called, Big Words for Little People. I like knowing that my girls will grow up with a rich vocabulary. I think it's kinda cool. These are some other books of hers that I absolutely LOVE. 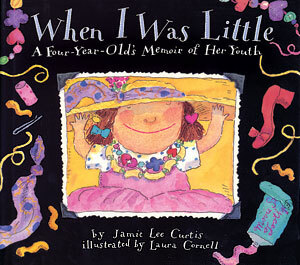 All of her stories have such beautiful messages and bring out the most precious of emotions. 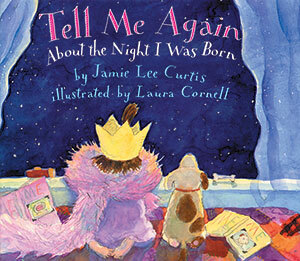 I swear I can't read Tell Me Again About the Night I was Born with out getting teary eyed. The illustrations are so sweet. 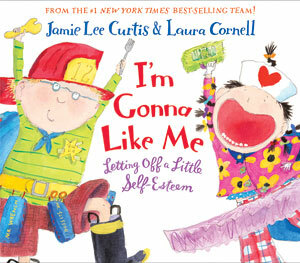 Jamie and Laura make a great combo. Awww, your girls sound so darling! I love hearing little ones use big words. your girls sound completely awesome! well, with a mum like you they'd have to be! love the use of the word conundrum! LOL. also, didn't even know about these books but they sound completely cool! so, yeah, thanks for that! Anyway, yeah Andreas has a very expansive and rich vocabulary - but I don't know how I didn't teach him. Unfortunately I do know how he learned to cuss so well. 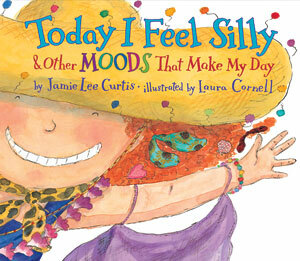 I love Jamie Lee Curtis's books. and Go Melanie the blog is awesome. Your girls are so smart! They sound like a hoot.